Now you can cover the highly useful zoom range of 18mm to 35mm (27–52.5mm on DX-format cameras) with a great performing full-frame NIKKOR lens that doesn't carry a professional's price tag. Shoot beautiful wide-angle architectural shots, landscapes, group portraits and more; then zoom in for a natural field of view that is slightly wider than what we see with our eyes. You can even get as close as 28cm from your subject! 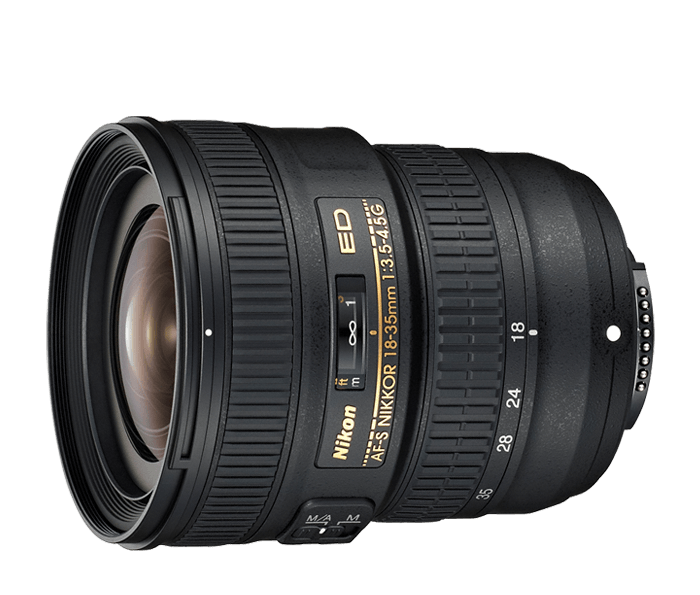 And since the AF-S NIKKOR 18-35mm f/3.5-4.5G ED is powered by Nikon's Silent Wave Motor (SWM) for ultra-fast, ultra-quiet autofocusing, it's an ideal choice for video applications.